Vigdís Finnbogadóttir led a largely academic life that was interspersed with involvement in rallies against Nato's presence on Iceland and being involved in the Icelandic womens movement. It was from the womens rights movement that it was first mooted that she run for president and after entering the 1980 presidential race she became the worlds first democratically elected female president. Such was her popularity she remained president for a further two terms before deciding to step down in 1996. 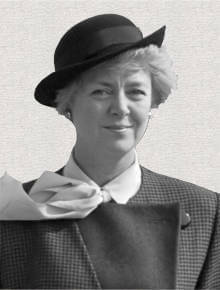 To this date she is still the only elected female president of Iceland. 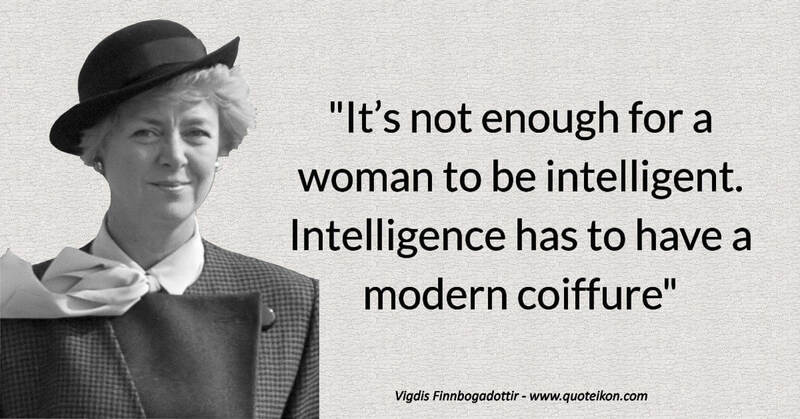 There is a heavy female slant to my list of 6 of the best Vigdís Finnbogadóttir quotes, I hope you enjoy them as much as I did in researching this Icelandic female role model. "It’s not enough for a woman to be intelligent. Intelligence has to have a modern coiffure"
"Never try to be a man if you’re a woman"
"I’m not a man and I never have been and my principle has always been not to try to act like a man"
"I think, if the world can be saved, it will be by women"
"On that day, society in a way shut down and it proved that women are - like men - pillars of society"
"I had the feeling I looked like a snowball rolling down the stairs from the plane"